I think a new restaurant qualifies as a fresh start and a great one just opened up in one of my favorite areas of Memphis, Cooper Young. How would my paleo diet hold up there? Strano Sicilian Kitchen has only been open a few weeks and is already all the rave among locals. A full bar, excellent wine list, and authentic Sicilian cuisine combine with a sleek Italian vibe and live music for an atmosphere that will have you sitting around the table with friends remarking "Isn't this a lot like when we were in Italy?" My husband, daughter, and son in law were keen to see what I could find on the menu to suit my paleo needs. I'll admit the basket of freshly baked bread that arrived along with flavored oil for dipping (you get to choose from several flavors) were pretty and tempting. My dinner companions assured me I was missing the best thing ever. The paleo conscious eater will be glad to know that all the meat and poultry is grass fed, farm raised, with access to fresh air and sunshine. They are also supporting sustainable, local, and urban gardening. Check out their list of local vendors here. I went with the Rosemarie’s Sicilian Salad: baby arugula tossed with house brined olives, tomatoes, roasted walnuts, bacon crisps, garlic Montagio cheese with a house balsamic vinaigrette. It was perfectly fresh and delicious. My son in law is still quite skeptical of a diet in which I cannot have oatmeal, but can have bacon. half rotisserie chicken with rosemary and Italian spices served with Italian potatoes and vegetables. Rosemary is the perfect accompaniment for chicken. Everything was cooked to perfection. If I was going to throw paleo caution to the Italian winds it was going to be for dessert. While we agonized over the choices our waitress informed us that she'd seen them making a bourbon chocolate pecan pie that she could bring us. My son in law and I shared a piece. My husband got his own. Then he ordered another. We finished it off with coffee. Real coffee. Strong. Just like in Italy. We can sleep when we're dead, right? 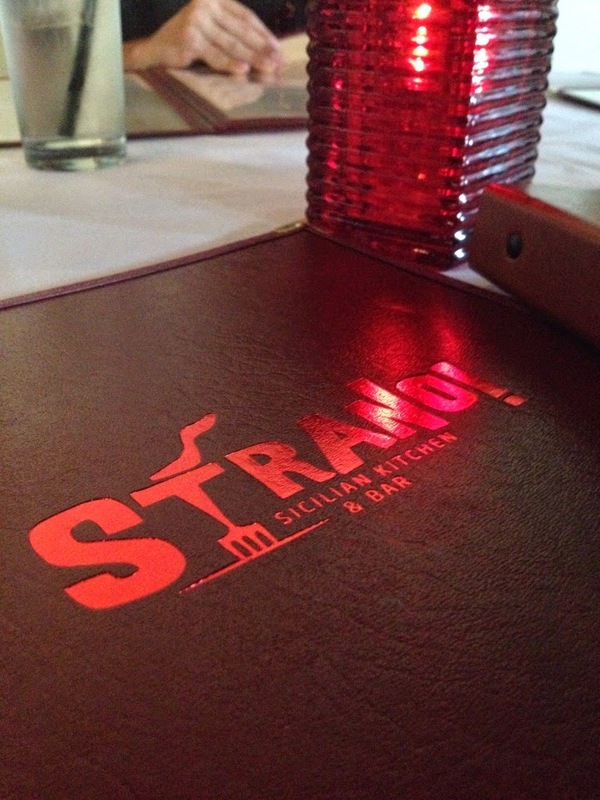 Strano's offers free valet parking and is open for lunch at dinner. Outdoor seating is available.